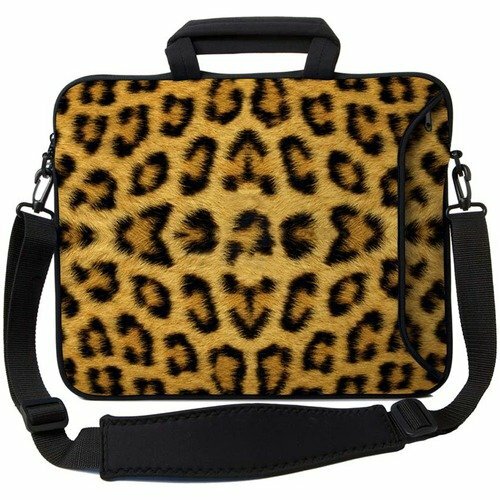 The Executive Sleeve 15.4″ in Leopard print, is a fun yet functional way to protect your laptop computer. The thick, durable neoprene rubber will cushion your laptop for maximum moisture, shock and scratch protection. The Executive Sleeve offers a detachable, padded “non-slip” shoulder strap with padded handles and external zippered pocket. Zippered external pocket provides secure storage for powercords, memory and more! Internal pockets for additional storage include: business card holder, small Velcro pouch (great for change), four pen sleeves, medium Velcro storage compartment and additional large storage compartment for PDA, CD’s, etc.